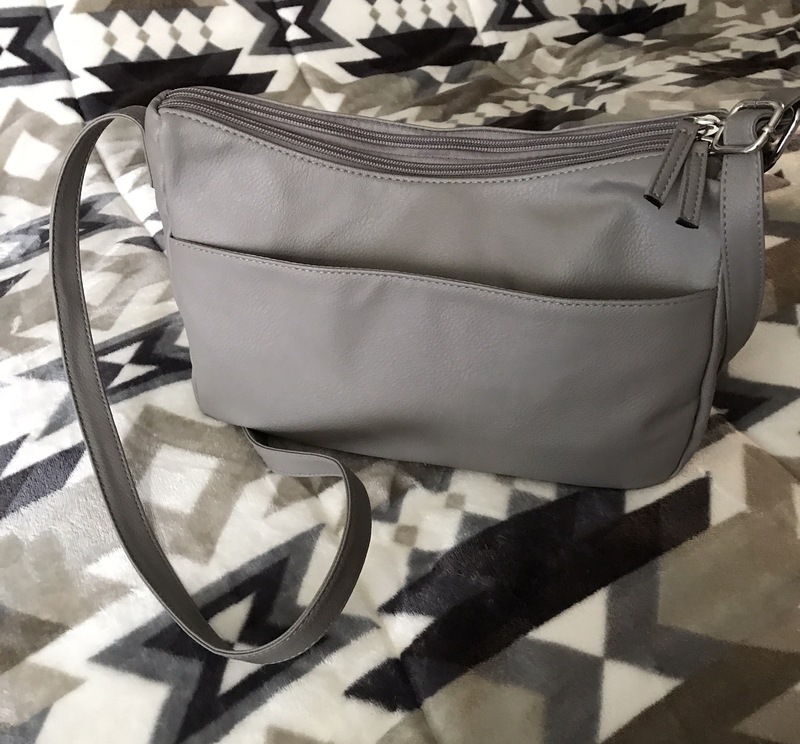 As many of my regular blog readers know, I’ve been on a Walmart purse kick these past few months. I now own three Walmart purses. However, since I was surprised to have found a few hidden Walmart purse gems, I decided to revisit their Faded Glory clothing line. 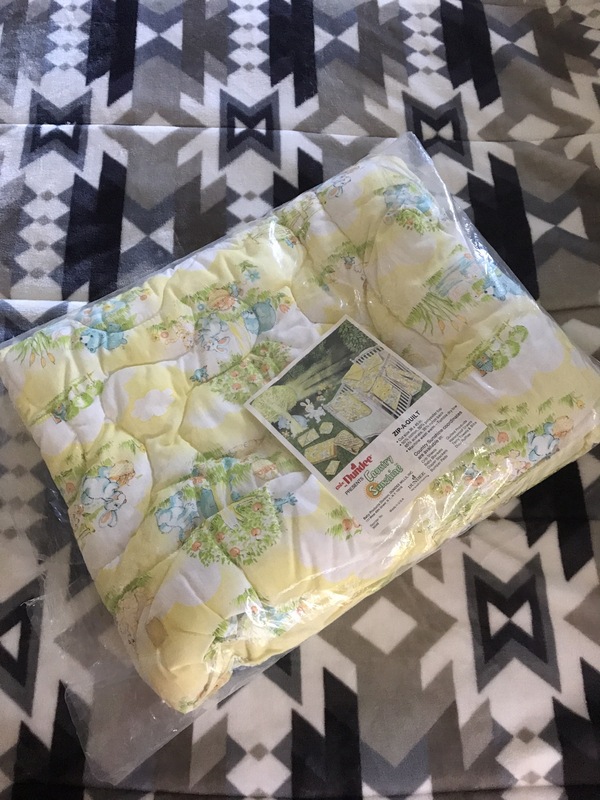 I use to love their George line, but it has been discontinued for years. At least in my neck of the woods. It was made well though. So the other day I stumbled across these comfy pull over tunics. They had a regular price of $7.97ea, but were reduced to $5 each. I grabbed three of them. Where else could you get three tops for $15. Well, a thrift store of course! But these were new and on clearance so I decided to give them a whirl. I bought a gray, green, and pink one. I didn’t notice a smell at the time, but I’m not in the habit of sniffing my purchases. I came home, took the tags off, and set them on the dresser. The following day I wore the pink one. I loved the true to size fit, and complimenting sleeves and neckline. I felt good in it. It was also a nice longer length that covered the bum area. Something my modest self always appreciates. About an hour after wearing the new top, I broke out in an arm and chest rash. I assumed it was from a new perfume I tried out earlier in the day, so just went about my business. It was itchy, but not over bearing enough to take a benedryl. That night I tossed in it in the laundry pile. 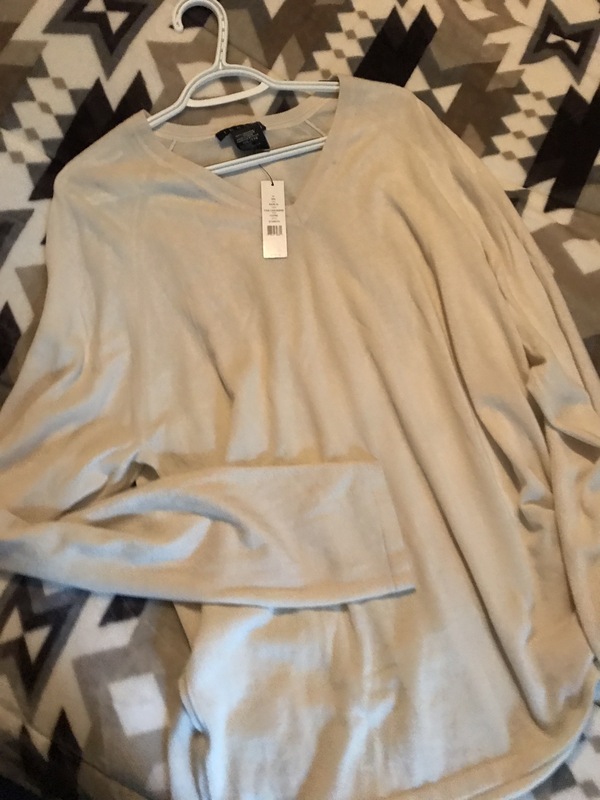 The next day I put on the gray one, and I didn’t have any perfume on at all,but sure enough… arm and chest rash started in. It was a bit more itchy then the previous day. But again, I went about the day, showered that night..
About thirty minutes after getting my PJ’s on, the rash went away. So I didn’t give it another thought. This takes me to today, I woke up and noticed a chemically smell in the bedroom. I got dressed, placing the green tunic on, and within moments I realized that the smell was the top I was wearing. I went and picked up the other two tops to see if they had the smell, and although it wasn’t as pungent as the green one, they did have a strange chemical odor. My daughter walked over to me and gave me a hug, then she asked what that odd smell was. And by that time my arms were breaking out with the rash. I quickly showered and changed, and then decided to Google Walmart clothing to see if anyone else in the world was having these issues. And sure enough… I had my reading cut out for me. People all over were saying that they have had rashes, and that certain Walmart clothing items stink. Specifically their denim jeggings. Many claimed that after you wash the garments, they smell even worst. Some people have claimed that it’s all the insecticides used in the wear houses, while others claim it’s the cheap dyes that are used when processing. I have not tried washing them yet, but plan to later tonight. I am going to add a bit of vinegar to the wash. Some folks have said they have tried everything to get the stench out, but vinegar was one of the only things that worked. Sort of. 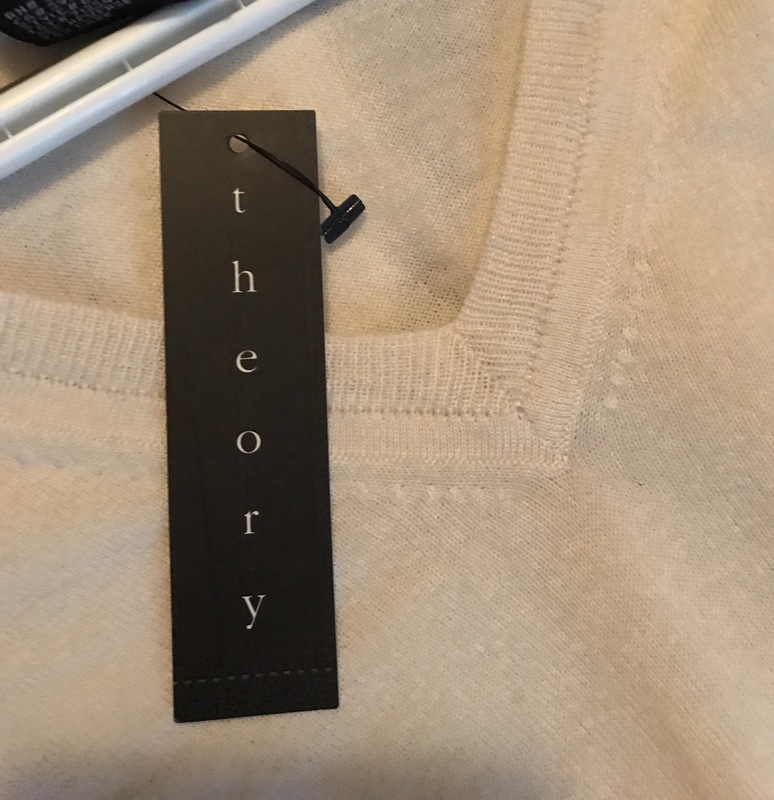 So, I guess I’m back to only buying ‘new to me’ clothing. I’m very big on recycling, and I’d much rather purchase high-end gently worn clothing that’s made well, then cheap clothing that are filled with irritants. Perhaps it’s only people with sensitive skin though, such as myself. Who knows, but I’m not willing to go through this again. I never thought I’d have Walmart taking up so much of my blog, but.. 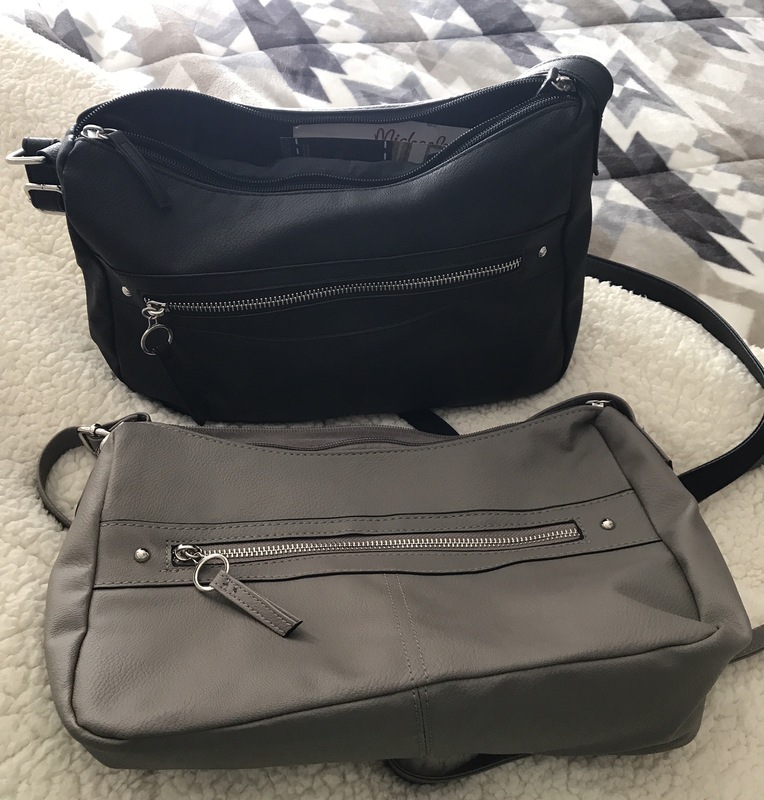 I mentioned my two no name brand Walmart purses that had really impressed me last month. Both impulse buys. One in black and one in gray. I blogged about them with pictures last month. They were only $9.96 each. It’s a bit of a stiffer synthetic pleather, and much smaller in size. Only one deep pocket.. No outside pockets for your keys or phone, so it’s not very practical. But it’s pretty! While I was there again shopping, I noticed that they seem to be doing away with their no name branding. I think they did that with clothing years ago, if I recall. I remember they had a brand called George, White Stag, Faded Glory, and Cherokee. Maybe others? To the best of knowledge, they only carry Faded Glory now. Which is their Walmart brand. Getting back to purses, they must have signed a deal with Relic handbags. have never been a fan of Relic. But I know many are. Once upon a time Relic could only be bought from the mall or online. Now… you can buy the brand at Walmart. I remember when the make-up brand Hard Candy, was only on HSN.. And now it can only be bought at Walmart. A few years ago Walmart was selling Kathy Van Zeeland purses. I use to carry those, but like any designer bag that becomes overly saturated , or starts selling at discount places… the quality and hype go right down the drain. I actually sold all mine back when I had Facebook. Currently, I’ve had my eye on a Big Buddha bag that Walmart is currently carrying. 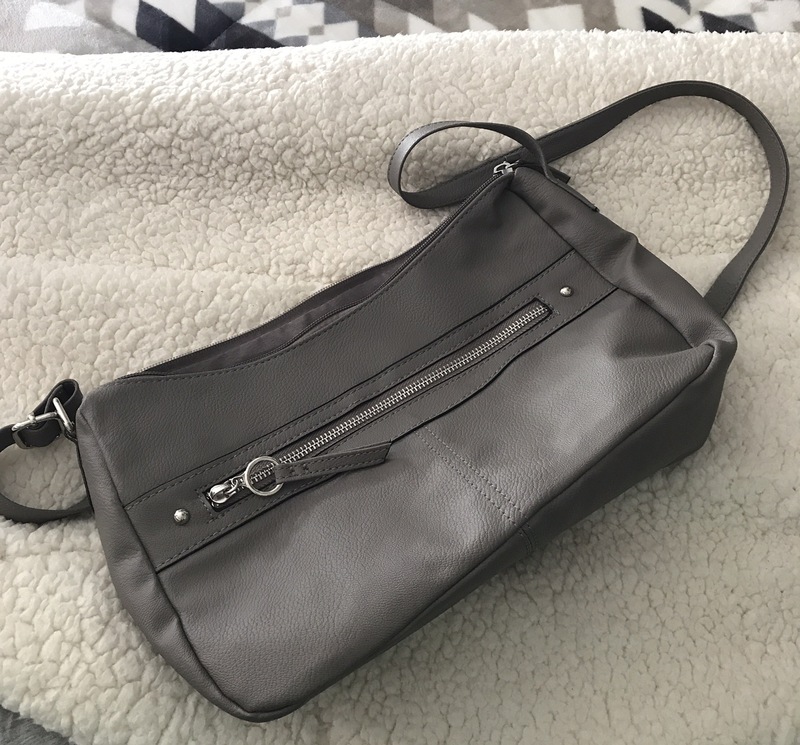 But who wants to dish out $40 for a Walmart handbag?! Yikes! Why does someone feel fine about spending $40 at the mall for a purse, but cringes at the thought of spending the same amount at a discount store. I guess it’s like a yard sale or thrift store. You are there for a deal! Nothing more. So there you have the Walmart Purse update. 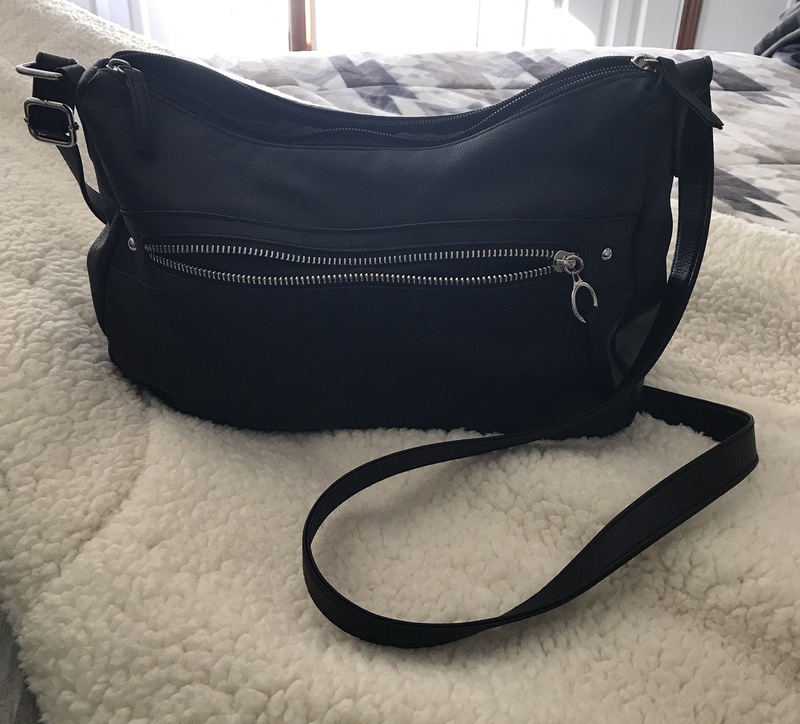 Has anyone treated them-self to a new Fall/Winter handbag as of late? Please share! About once a year, sometimes twice, I encounter a uncomfortable shopping experience. Last night was one of those incidents. She pulled up right in front of me and asked me if I was a God fearing Christian. I didn’t think much at the time, because this is how they witness to people here, down South. I’ve had people approach me and ask me if I knew that when I died I’d burn in the fiery furnace.. Unless I repented right away..
For real! That incident took place in a laundry mat. Evangelists are hard-core down here! Fire & Brimstone all the way. My mistake is, that I am engaging. At l day that’s what my family tells me. I admit, I walk around with a smile, and I am a bit more friendly then I should be, probably. It’s become a blessing and a curse. After being asked about my faith, I told the women that I was a Christian. She then out of the blue, asked me if I would buy her a Vacuum cleaner. A shark, specifically. She said she didn’t have the two-hundred dollars and needed a vacuum cleaner that night. And that since I claim to be a Christian, then it is my duty to give to charity. I became like a deer in a headlight. At first I thought she was pulling my leg. Or that I was being recorded for some social experiment. Then she repeated her request to me in a more assertive manner. I responded to her where she could purchase the vacuum at a cheaper price. And that the store Ollie’s, is cheaper then Walmart. At least I could offer her that information, despite her rudeness. But that didn’t sit well with her and she told me that unless I was going to drive her to the other store and purchase the vacuum for her, then she didn’t care.. And that if I was really a Christian, I NEEDED to buy her a vacuum as a charity. I became annoyed, but still wanting to be respectful, I told her that 90% of my purchases are second hand.. and that if she needed one that bad, she should try a thrift store. She then became down right mean and stopped another shopper who was walking past us. She told the random stranger that “this women” (while pointing at me) was claiming to be a Christian, yet, would not bless her with a vacuum cleaner. The lady shrugged, said sorry.. and kept on walking. It was now just the two of us again…. I ended the conversation by telling her that I have five kids, and I am putting one through the Uni, so I simply can’t help her… and then I walked away..
Of course even if I was a millionaire, having random strangers demand gifts or money, would not be charities I would give too. Feeling distressed after walking away, I texted my husband and told him what had just happened. He said I should have just told her from the get-go to leave me the hell alone, and get lost! But I’m just not that kind of person though. But I know that I need to grow a pair…. sort of speak; soon though. I finished my grocery shopping and went to cash out. I always look over all my purchases while standing in line to estimate the cost. While doing this, I didn’t notice that the crazy lady was a couple carts in front of me. As I was scanning over the items in my cart I heard some commotion in front of me that caused me to look up. There she was! Still in the riding buggy, and yelling at the cashier. She was telling the cashier that she still owes her. $20 back. I then noticed that she had a watch in her hand. Then another cashier came over and they straightened it out, it seemed. The crazy lady was in the wrong. The cashier cashed out the woman in front of me, and then it was my turn. While ringing me out the cashier asked me how I was, and if I found everything I was looking for. I told her that the lady in the riding buggy that just left, approached me in the store, more-less demanding that I buy her a vacuum cleaner. I told her what happened and she told me that that woman got the lady that was in front of me, (behind her) to buy her a $40 wrist watch. Apparently, while she was in line she turned around and asked the lady behind her if she was a God fearing Christian. The lady told her yes, and then the crazy lady asked her if she would buy her a TimeX watch as a charity. The lady said alright. They both left the line, and came back with the watch. The cashier told me that the lady was either a con-artist, or had a mental disposition. Then she apologized that I had a bad shopping experience. She then told me that this time of year is always challenging. She shared a few horror stories that she’s encountered in the past couple years around the Holiday season. After I cashed out I went out to the parking lot and noticed that the crazy woman was standing up with two other ladies in the parking lot, and laughing. She was showing off her new watch to one of them. Then they high fived. Then the ladies were approached by a Walmart employee who was getting all the carts outside. They all started talking. It seemed to be getting intense. I got into the car and we left! Today… I’m upset at myself for not being more assertive in that very awkward situation. I’m very curious how others may have responded in the situation I just shared. Please share! Last week, while paging through a magazine at the doctors office I came across these Gucci Slides. With tax, they’d be over a thousand dollars. 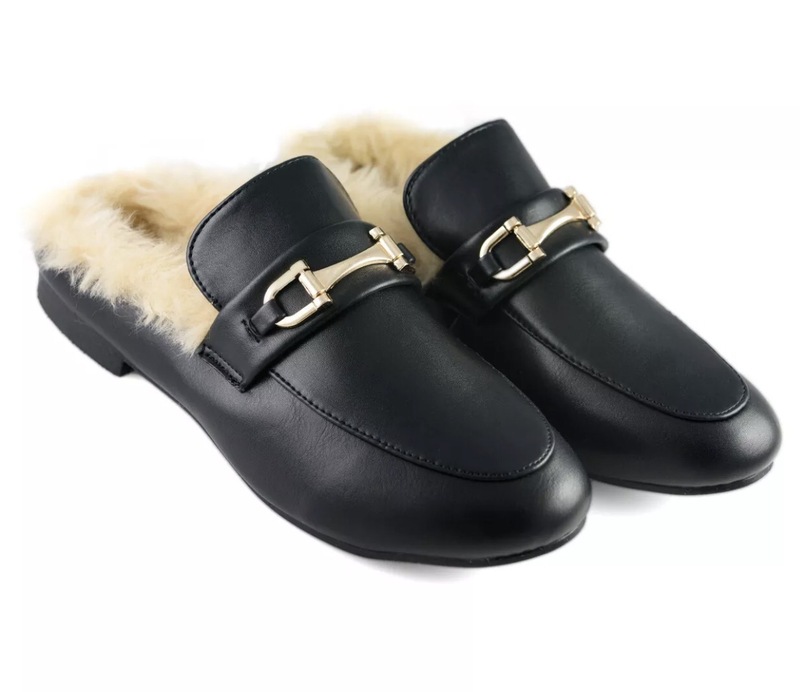 Granted, they are made of genuine leather and goat fur; as well as being an investment piece, that’s bound to age well. That said, I am not rich, nor pretend to be.. So as always, I made a quest to find a similar, more affordable style. 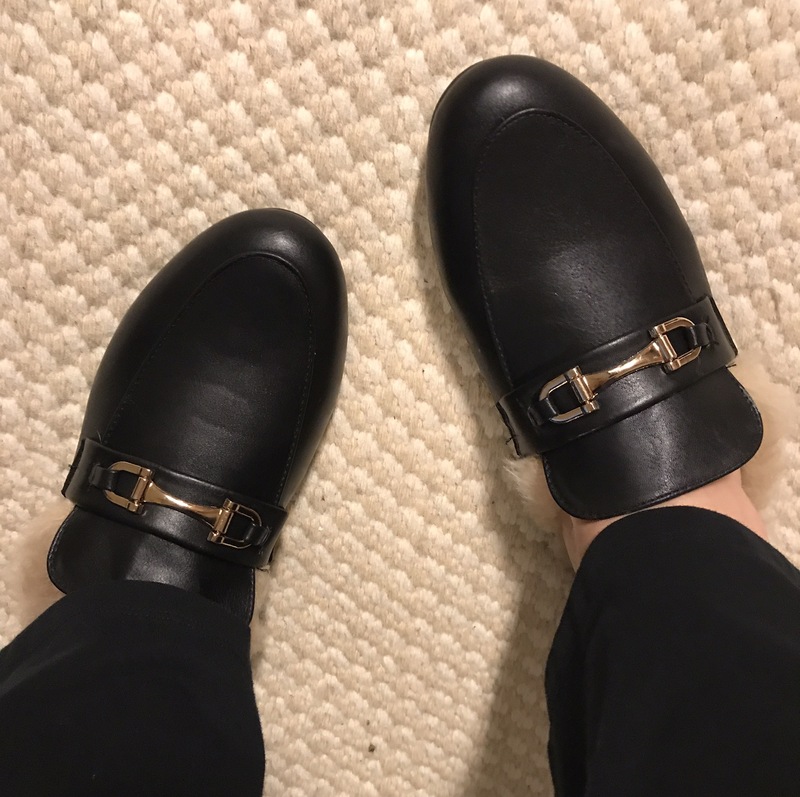 These Ellen Tracy’s are similar. 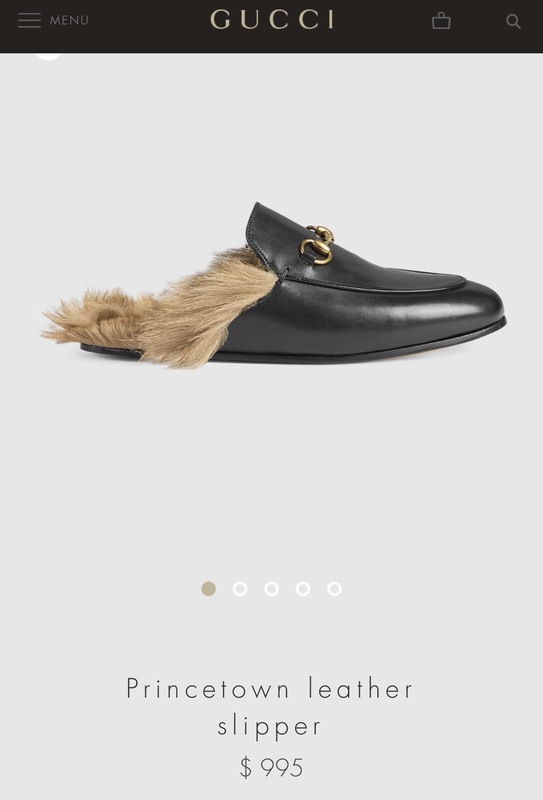 And still look like grandfathers comfortable slippers, but the cost is right up my alley. They retail for $60, but I got them for $20. Here is a perfect example of finding a diamond in the rough…. 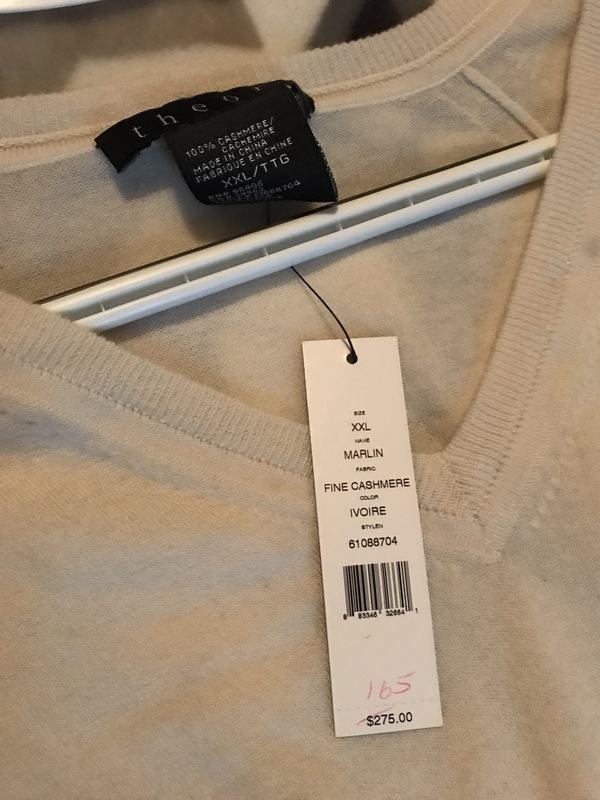 I ran into a large ’boutique style’ thrift store the other day and stumbled across this beautiful Cashmere sweater. It retailed for $275, but someone bought it on clearance for $165. Yet, it was never worn. I bought it for $4.99. I’ve been so excited with a recent thrift hauls that Ive done. I try to source 3x a week. One morning, and two evenings. I have sourced about one hundred items in the past week. 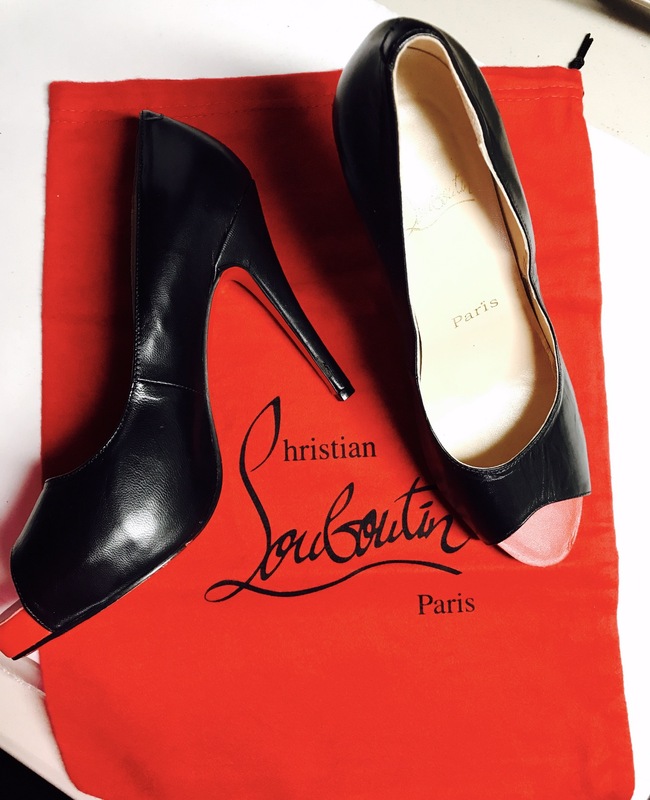 These beautiful shoes have been the best luxury item that I have ever come across. At least while living down here. They are a size 9, and retail just under 1k. I’ve also had some very good sales. One hundred and ninety in the past two months, to be precise. I’d love to hav that many sales in one month though. Goals! I sold my chinchilla stole. I didn’t have it cleaned or have the tear repaired, and I still managed to get $70 for it. So that was a blessing. And yes, I was upfront about the imperfection. I also sold a vintage Patagonia fleece for $60. I’ve also started selling more hard goods. Selling pieces of things. Coffee parts, vacuum parts, sports helmets, etc. all that can be easily found at the bins by the pound. I popped into the GW the other day to see if they still had a few 1950’s vintage Theodor purses that I saw the previous day, but didn’t pick up. They were all $3.75 each. One was wool, which I almost bought for myself, simply because I love vintage things. But I didn’t. As I don’t dress in a vintage style. I’m simply not Petite. So I ran into GW to see if they still had the vintage handbags, and they did. I found four. And I bought them all. I also found my son a bunch of pants, to my surprise. Try finding size 29×34 in men’s jeans. It is obviously not a popular size. Which is why I have been buying him 30’s, and he just wears a belt. But I found him three pairs of pants. So Yay! When I got up to pay for the vintage handbags, I started looking inside each of them. I’ve opened Old bags before with creepy crawlers in them, so now I make it a point to check inside. I started imagining who the owner might have been. Maybe a sweet old lady who passed out mints to all the children, and called everyone deary? Then I came across a note with a church pencil. I won’t share the name on the note, to respect the family’s privacy. Apparently, the owner was at church and was given the note that was asking where a particular family was…. that they have been tarty in service for a couple weeks now… and that was just awful. I left it in the bag…while continuing to romantasize the olden days in my head..
Then the cashier starts cashing me out and randomly starts sharing the story of the bags I was purchasing…. And just when I was picturing the sweet old lady making her Brunswick stew while with her beautiful handbag on the counter. The cashier said that a women came in last week with 150 vintage bags and 150 matching shoes. The shoes were all still in their boxes with the sales slips stapled to them. Her mother had recently passed, she told the cashier…and was well known in the community for being a snazzy dresser. Hence so many bags and shoes. She had no use for her mothers bags and shoes, so donated them all that day. Wow! If only I had popped in THAT DAY. The cashier told me that she was the one that priced everything to get it moved out quick. And that as soon as she began stacking the shoes in the back of the store, ONE LADY walked over and asked to purchase them all! She took every single pair of shoes that day. They were priced $4.29 per pair. She took most of the purses… and there I was buying the last of four of them. Would I have bought all the shoes to resell? I’m not sure. I guess if it would have felt right… I probably would have done the same. It’s hard to find vintage goods in near perfect, clean, wearable, condition nowadays. Especially for little money. I’m happy to have these bags. I plan on selling three, and keeping one for myself. Probably the wool one. 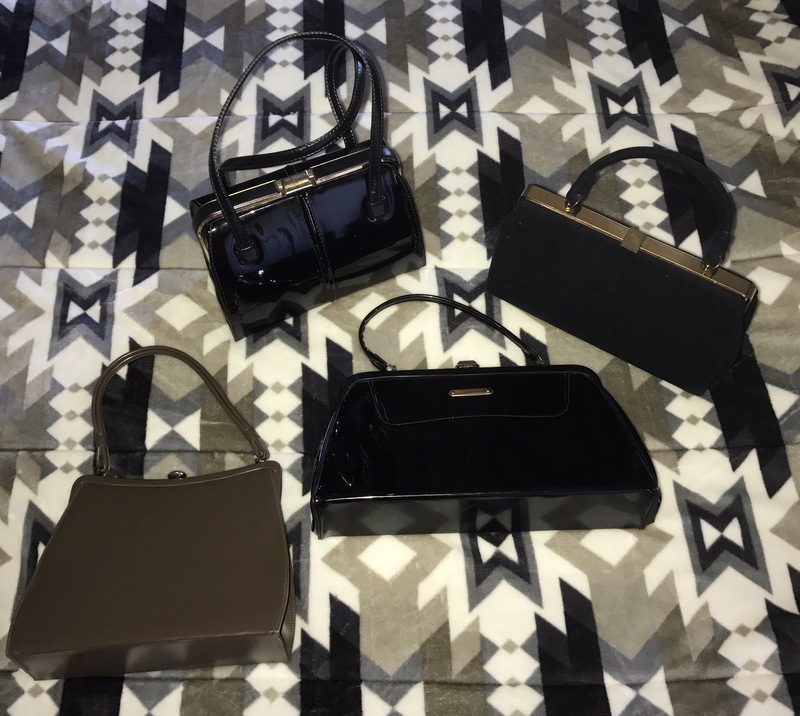 I went to a friends house yesterday to show her the vintage bags. Here’s where it gets even more interesting..
She opened the one bag and read the note, and then answered where, and why, that family left the church. All those years ago…She knew!